Join us and celebrate the International Women's Day! 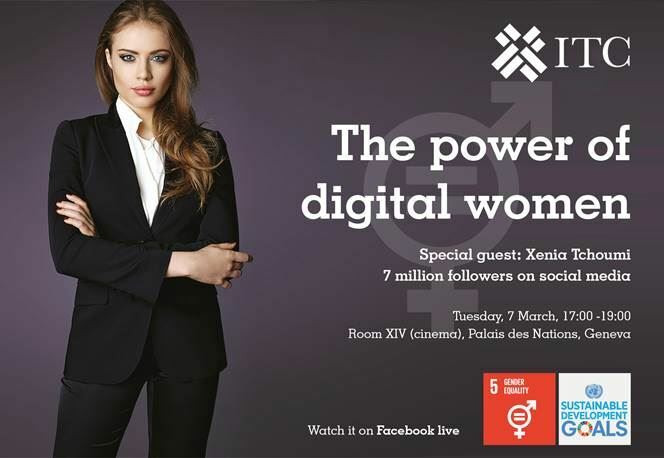 Hurry-up and register to The power of Digital Women event! Places are limited! This event is scheduled in collaboration with ITC and will take place at Palais des Nations, Geneva. Registrations should be send to dkogevinas@intracen.org. The registrants should provide: ID/passport no. along with the name, title, and their organisation. Deadline to subscribe is Thursday, 2nd March!